Around the globe, artificial reefs are being established by preparing and sinking ships that have surpassed their useful life at sea. Decommissioned and potentially headed for the scrapyard, as artificial reefs, these vessels serve several purposes. As an artificial reef, they can offset some of the natural reef that has been lost to coral bleaching or due to pollution from shoreline development. 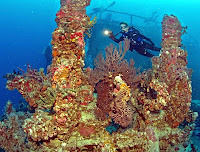 They also serve as attractions for dive tourism and can, in some cases, reduce "diver pressure" on natural reefs by luring divers to dive on the sunken ship rather than the actual reef itself. These artificial reefs have been the result of extensive effort by various organizations to procure and prepare these vessels so that they are not only diver-safe but, most importantly, environmentally safe. They are thoroughly cleaned of any material, residue, or chemicals that could contaminate the marine ecosystem where they are placed. Unfortunately, not all vessels end up in the scrapyard or as artificial reefs. 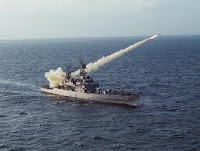 The U.S. Navy, through a warfare practice exercise called SINKEX (sinking exercise), has used old inactive naval vessels for target practice and the activity has raised the ire of ocean conservation groups to the extant that several groups, including the Center for Biological Diversity, the Sierra Club, and the Basel Action Network (BAN), have filed a complaint with the Navy and the EPA in the hopes of stopping another planned exercise this summer, north of Hawaii. The main issue: the vessels are not decontaminated and pose a significant hazard to the oceans; they are simply treated as "out of sight, out of mind." 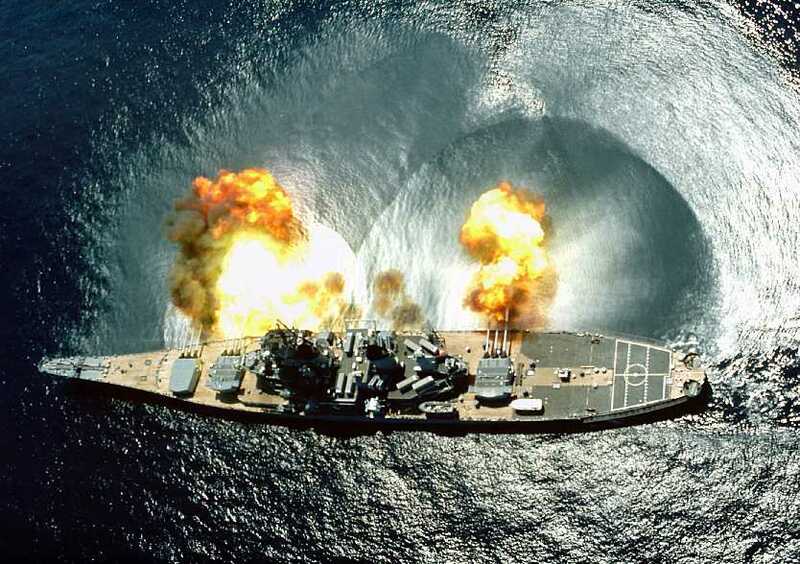 "Based on documentation of known contaminants found in more than 100 ships sunk by the Navy over the past 12 years, the ships are contaminated with toxic heavy metals and polychlorinated biphenyls (PCBs). Sinking — instead of recycling — these ships will send toxic chemicals into the marine environment and needlessly deprive the U.S. ship recycling industry of both resources and jobs. 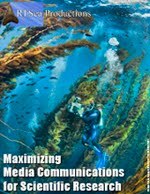 The EPA and Navy admit that highly toxic chemicals are released into the marine environment as a result of SINKEX, including asbestos, lead paint, antifouling paint containing tributyltin (TBT), polybrominated diphenyl esters (PBDEs) and PCBs, a suspected carcinogen that has been targeted for global phaseout and destruction under the Stockholm Convention. However, the EPA and Navy seem unwilling to consider the new scientific findings presented by the coalition that show the amount of PCBs and other pollutants from the scuttled ships is far greater than EPA believed when it exempted SINKEX from ocean-dumping laws. Instead the EPA asked a federal judge to dismiss the complaint on procedural grounds — a request that was denied last week. 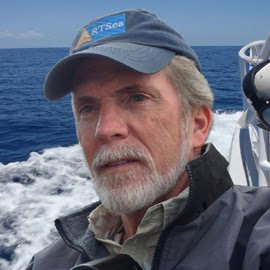 'The sinking of these vessels directly contradicts President Obama’s directives calling on federal agencies to lead by example in recycling and ocean stewardship. The pristine waters north of the island of Kauai have already become a graveyard for more than a dozen ships containing untold tons of pollutants. These sinkings must stop! This is not ocean stewardship, nor is it the action of a 'Great Green Fleet,' ' said Robert Harris of the Sierra Club in Hawaii. I for one am not opposed to the target practice exercise per se, as long as the vessels have been properly scrubbed. If that is not economically feasible for the Navy, then the ships should be scrapped - a more environmentally sound move that also supports the scrapyards, a private industry that is need of work in these difficult economic times. For the EPA to give the Navy a pass on decontaminating the ships and dispatching them to the bottom of the sea is unacceptable and smacks of the same short-sighted thinking that went into the concept of dumping nuclear waste at sea. No, the ocean isn't that big that nobody or no marine life will notice. To add the voices of the general public to this issue, the Center for Biological Diversity has a petition available for signing. Also, the latest legal complaint can be read here.